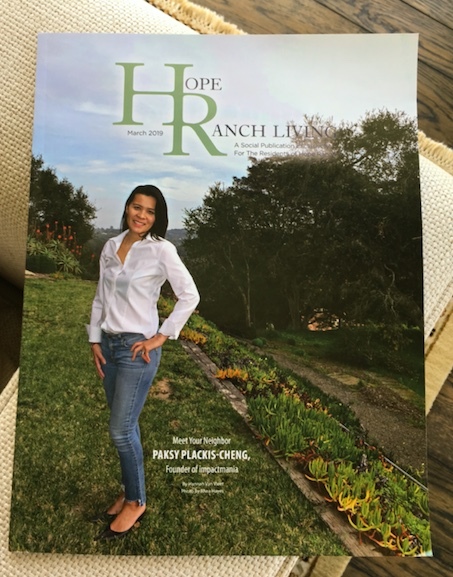 Paksy Plackis-Cheng, founder of impactmania, is featured in the latest Hope Ranch Magazine, Santa Barbara, California! 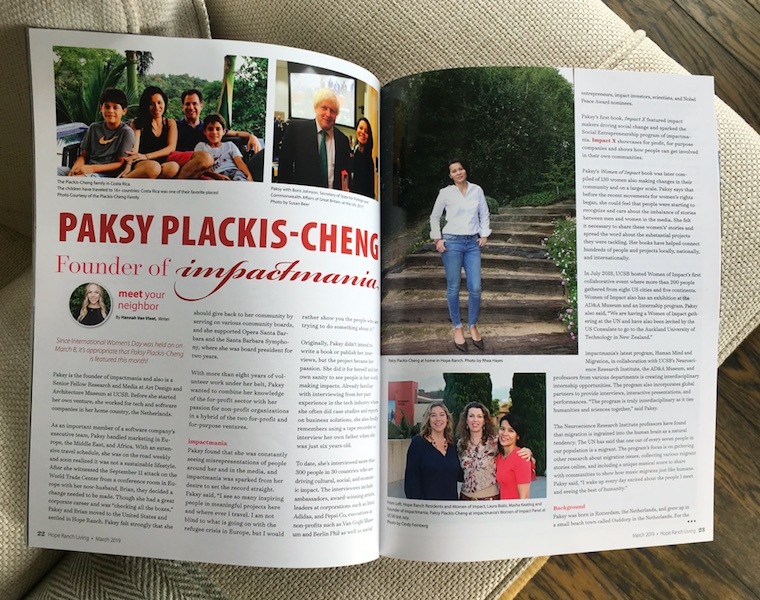 The Plackis-Cheng family in Costa Rica. The children have traveled to 16+ countries: Costa Rica was one of their favorite places! Paksy with Boris Johnson, (former Mayor of London and former) Secretary of State for Foreign and Commonwealth Affairs of Great Britain, at the United Nations (UN), 2017. Photo by Susan Beer. Paksy Plackis-Cheng at home in Hope Ranch. Photo by Rhea Hayes. From left, Hope Ranch residents and Women of Impact, Laura Bialis, Masha Keating and founder of impactmania, Paksy Plackis-Cheng at impactmania’s Women of Impact panel at University of California, Santa Barbara (UCSB) last July. Photo by Cindy Feinberg. Photos above: On the back of the bike in (Paksy’s hometown) Ouddorp, the Netherlands. Photo by Noor Mooijman. Paksy filming in India. 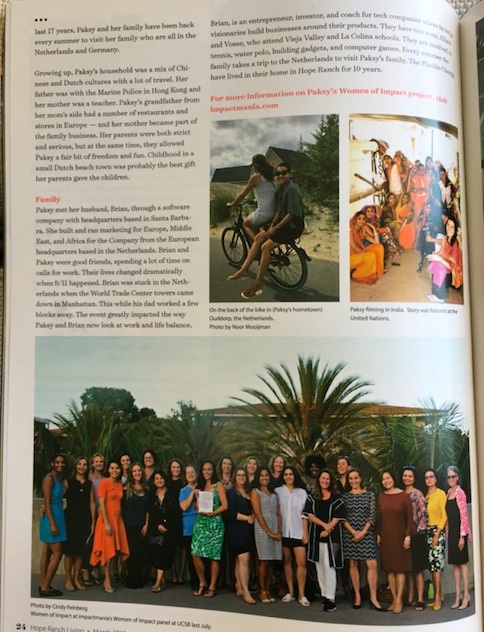 The story about a social enterprise working with 40,000 women in the global supply chain was featured at the United Nations Global Compact Conference. Photo by Vinay Joshi. 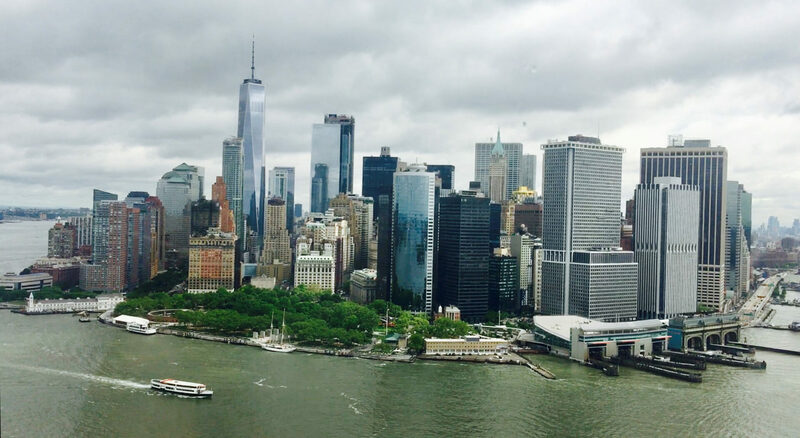 Photo by Cindy Feinberg. 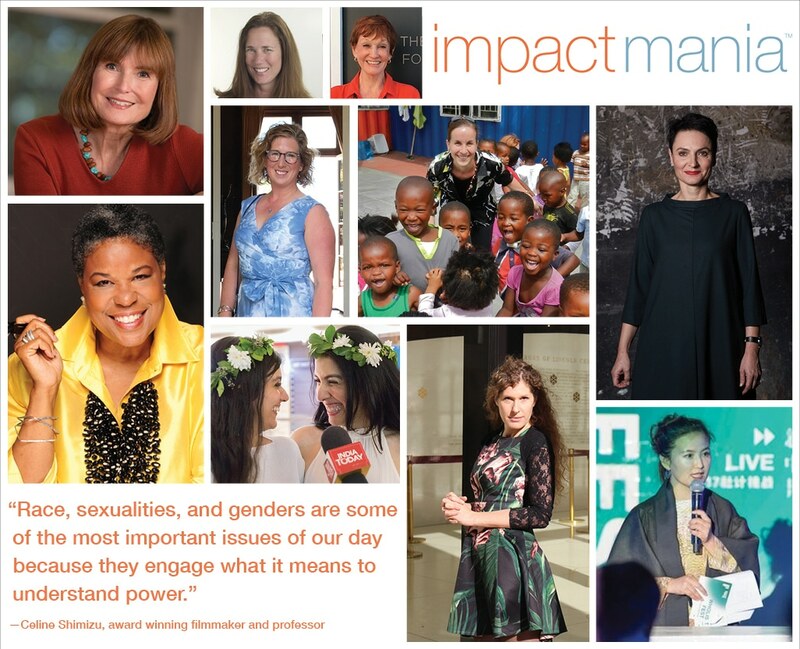 Women of Impact at impactmania’s Women of Impact panel at UCSB last July.